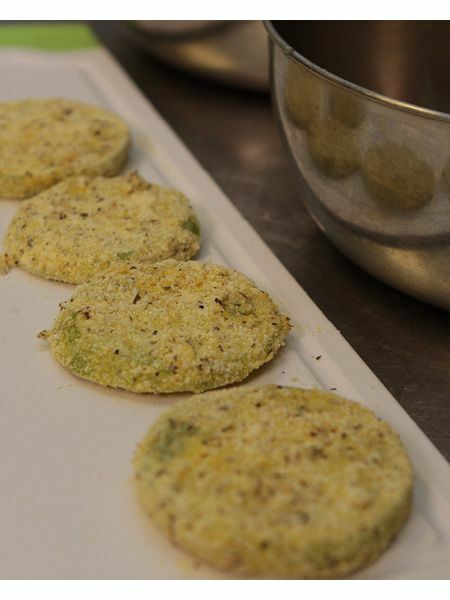 Fried Green Tomatoes & Summer Melon Pie...Ahhh Summer! 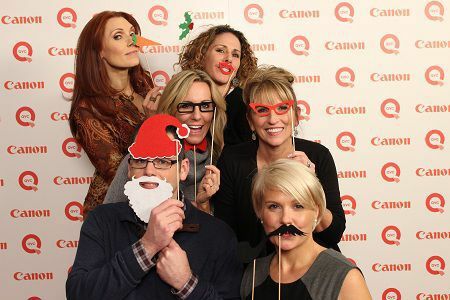 Our final guest blog for this week comes from Roberta of Homemade Delish. Roberta—a home chef, food, beer, and wine connoisseur, as well as a wife and mother of two!—picked up the blogging “pen” for me around July Fourth and shared two terrific pizza recipes...one with Ricotta, Anchovies, and Dates; the other with Parmesan, Bacon, Asparagus, and Fried Egg. Talk about flavor explosion! So, to help us promote our garden-to-table theme for August, we asked her to try her hand at dessert. And, here’s her creation: Summer Melon Pie! There’s nothing I love more than using fresh fruit in yummy desserts—especially if you’ve grown it in your own backyard garden. With this little treat, I decided to incorporate those quintessential summer melons--honeydew, cantaloupe, and watermelon—into a refreshing, delicious treat. To make the crust, preheat the oven to 375°F. Crumble the graham crackers in a food processor (or by hand in a plastic zip-top bag.) 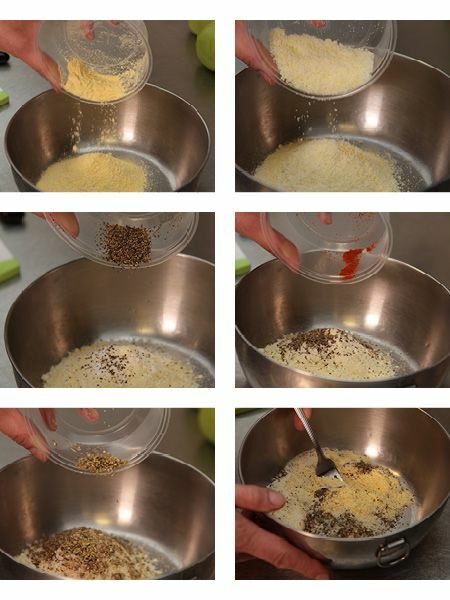 Heat the butter in the microwave until half-melted, then mix the butter into the crumbs with your hands until the crumbs look like wet sand. Use your fingers to press the crust into a pie dish or disposable aluminum pie pan. Bake until the crust is a shade darker, about 10–12 minutes, and let sit for about 5 minutes. To make the pie, place the cantaloupe and mint into food processor or blender. Blend until smooth, add cream cheese, and blend again. Pour the mixture into a large bowl and set aside. Add the gelatin, sugar, and orange juice to a sauce pan and cook on low heat until everything has dissolved. (This should take about 3–4 minutes.) 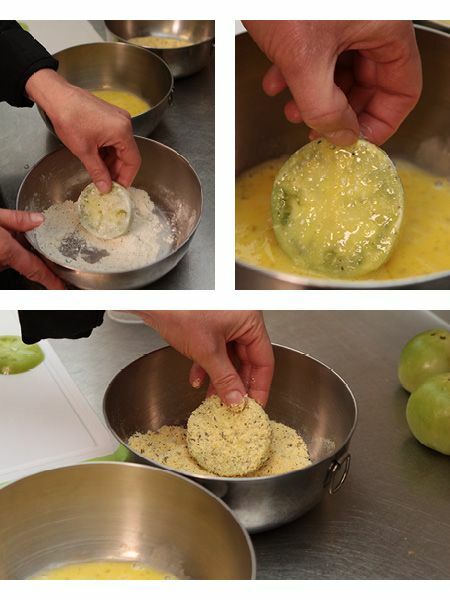 Slowly whisk the mixture into the bowl with the cantaloupe puree. 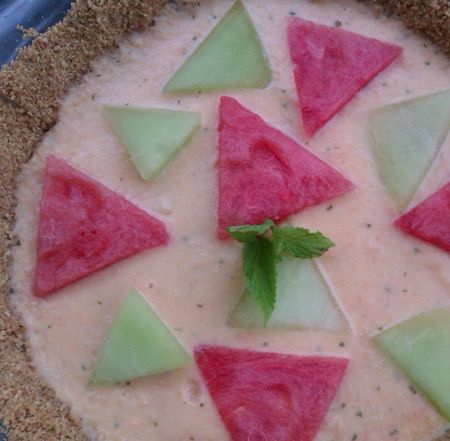 Place pieces of the honeydew and watermelon into the crust and pour the cantaloupe puree on top. Then, arrange some extra pieces nicely on top. Place the pie in the refrigerator for about 6 hours, or until the pie properly solidifies. Enjoy!! Thanks, Roberta! How unique! Foodies, remember what I said earlier this week about not getting stuck in a food rut? That’s why I love Homemade Delish. Roberta posts unique recipes every single day and she always gets my creative juices flowing. 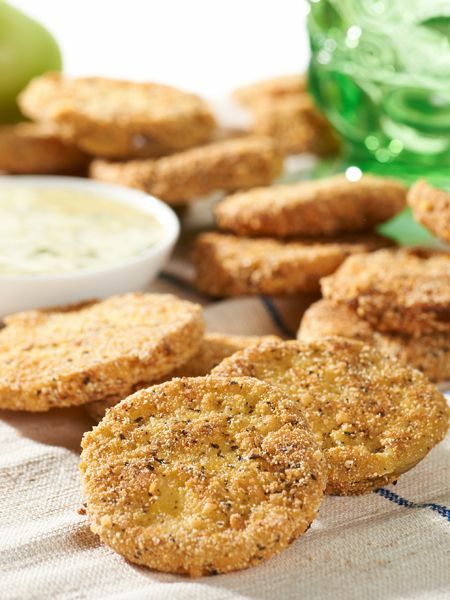 I’m back for In the Kitchen with David this Sunday and our first official garden-to-table recipe is Fried Green Tomatoes with a Garlic-Basil Aioli. Here are the ingredients...the steps are in photos! This recipe is prepared with the Omega Heavy Duty Blender (K35565). Remove the ends of the tomatoes and slice them about 1/4" thick. 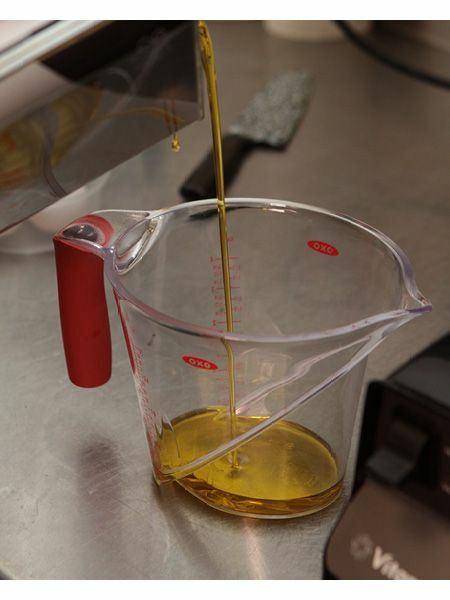 To prepare the aioli, combine the olive oil and the blended oil in a measuring cup. Set aside. 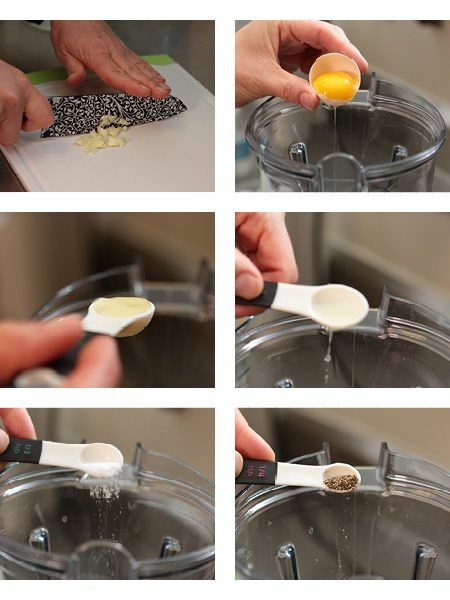 Place the garlic, egg yolks, lemon juice, Dijon mustard, salt, and pepper in a blender. Pulse the ingredients until combined. 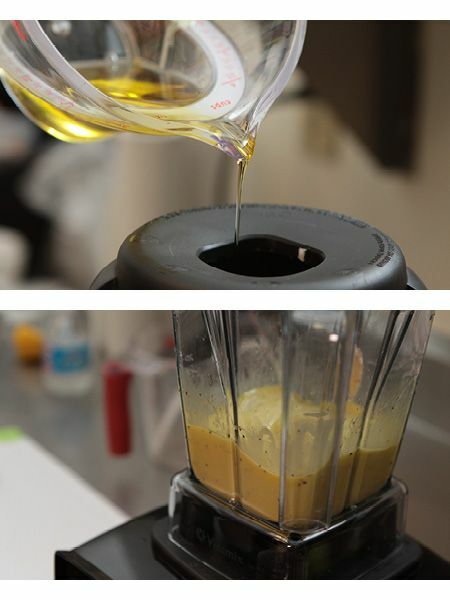 Slowly pour the oil through the opening at the top of your blender (the speed should be on low) and mix until the ingredients are well-blended and creamy. 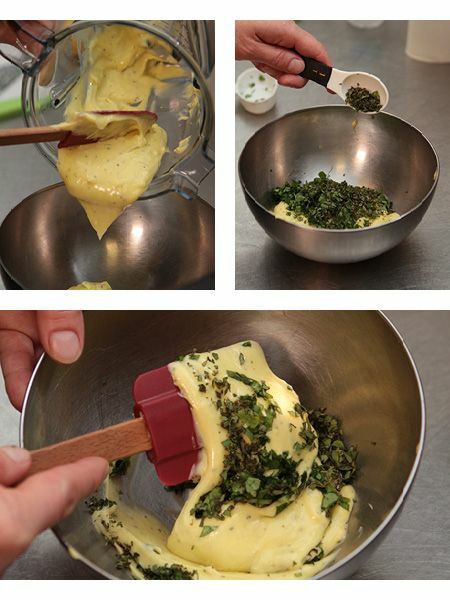 Use a spatula to scoop the aioli into a small bowl. Fold in the fresh basil and oregano. To prepare the tomatoes, combine the cornmeal, Parmesan cheese, cayenne pepper, 1 tsp of salt, 1/2 tsp of black pepper, dried basil, and dried oregano into a medium-size bowl. Set aside. 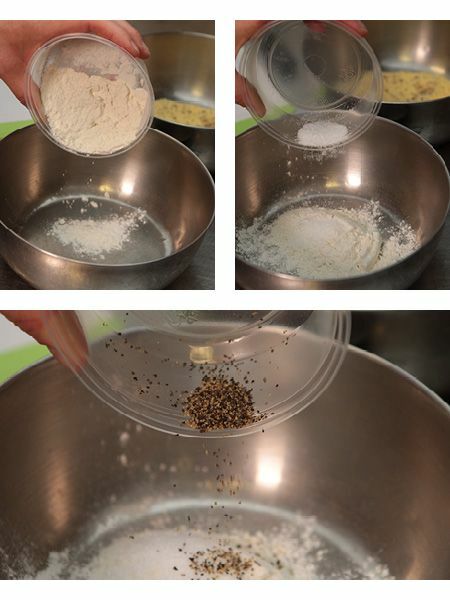 Combine the flour and the remaining salt and pepper into a second bowl. Set aside. 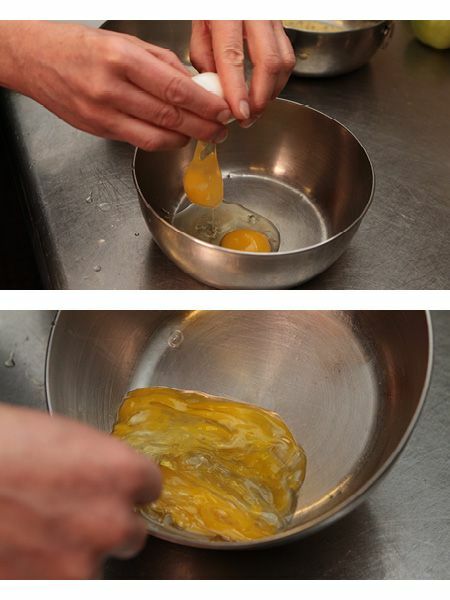 Whisk the eggs together in a third bowl. Dip! Coat the tomatoes in the flour mixture. Then coat the tomatoes in the egg. 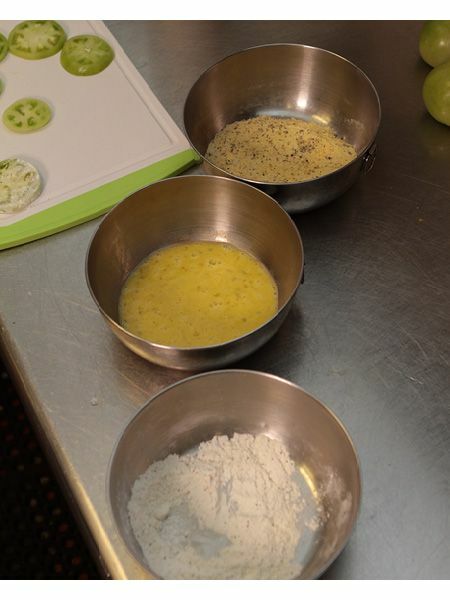 Finally, dredge the slices in the cornmeal mixture and coat completely. 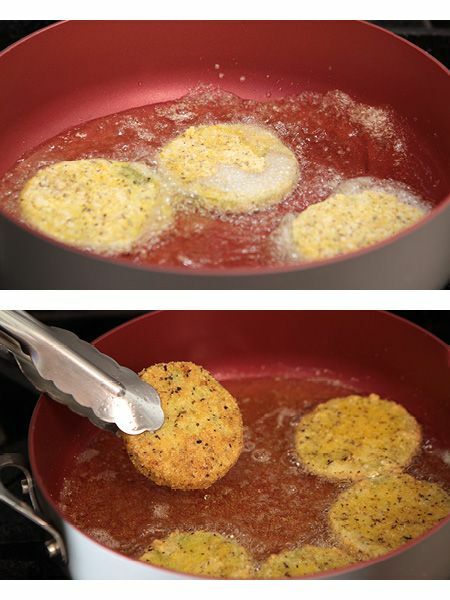 Pour about 1/4" of oil into a large skillet set over medium heat. After the oil is ready, add in the tomatoes (in batches, if necessary). 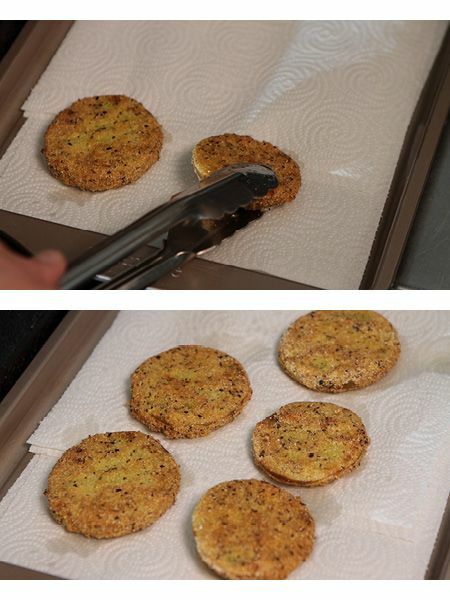 Fry the tomatoes until golden brown on one side for about 3-4 minutes. Flip the tomatoes and cook until brown on the other side. Remove the slices from the oil and drain on paper towels. Serve immediately with the aioli. One bite of this recipe, foodies, and you’ll be whisked away to the South. Serve it with some sweet tea and you just might start speaking with an accent! See you Sunday at Noon ET.